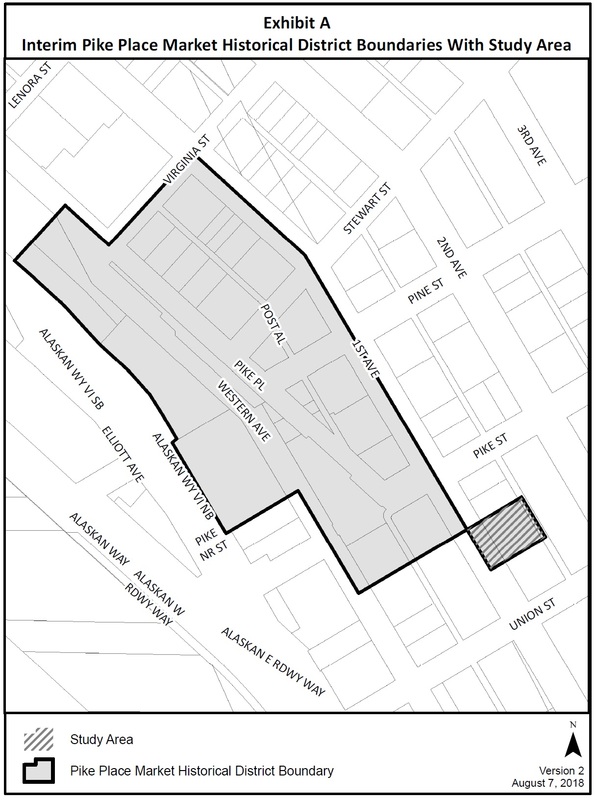 a high-level work plan for evaluating and determining whether the Showbox site should become a permanent addition to the Historical District. The work plan is intended to meet a state law requirement for interim zoning changes that last longer than six months. However, the Council has not budgeted any funding for executing on the work plan, which is supposed to begin immediately. Recent development activity adjacent to the District has put potentially eligible landmarks at risk of demolition or alteration before the protections of the district may be applied, thus constituting an emergency pursuant to WAC 197-11-880. Demolition or alteration of the Showbox is certainly not a threat to public health or safety (actually just the reverse; it’s on the city’s list of buildings with unreinforced masonry that is likely to suffer major damage in a seismic event). It’s not a threat of serious environmental degradation. That leaves “imminent danger to public or private property,” which is a huge stretch of the imagination given that it’s neither imminent (in the most optimistic case, it will take months from when the permit application is submitted to when a permit is actually issued) nor a true “danger” — an owner/developer wants to use legal and safe construction methods. The letter also references a ruling handed down by the Washington State Supreme Court just last week that recognizes property owners’ fundamental rights and slams Thurston County for its attempts to deny those rights through a series of convoluted bureaucratic moves. The Seattle City Council’s omission of funding for the work plan it calls for similarly calls into question its own motives for creating an interim “study area” — and opens it up for legal challenges. As of this writing, Mayor Durkan has given no indication as to whether she intends to sign the ordinance into law — which is somewhat a moot point, since it has a veto-proof majority. Durkan has sent her own staff to try to negotiate a solution with Onni that would avoid legislation (and potential court battles). It may be that the now-very-real ordinance puts pressure on Onni to come to an agreement quickly. Alternatively, this all may just end up in court.